King Arthur continues to hold a fascination for folklorists and the public alike. After all, the deeds of Arthur and his knights are now legendary. They’ve become part of Britain’s mythology. One of my favourite versions of the Arthurian legends was the Channel 4 mini series, Merlin. It starred the very excellent Sam Neill as Merlin and the incomparable Miranda Richardson as Queen Mab. 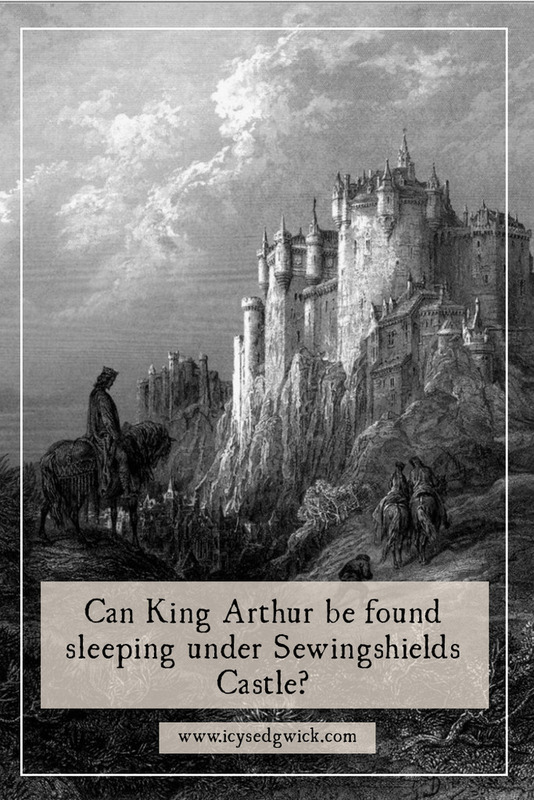 In one of the legends, King Arthur sleeps under Sewingshields Castle. So how does that story go? Hit play to listen below, or keep reading! It’s an old story, based on a common trope. The ‘King in the mountain‘ story concerns the idea of a king, or hero, who sleeps in secret. He waits for the day when he’s called to come forth and save the day. In some versions of the myth, the hero will return when his people need him. If you believe the legends, King Arthur is one such ‘king in the mountain’. He and his court lie sleeping in Avalon, awaiting Britain’s darkest hour. Then he’ll wake up and lend the nation his aid. Avalon’s location changes depending on the stories but the concept remains the same. The painting above is Sir Edward Burne-Jones’ epic effort, ‘The Last Sleep of Arthur in Avalon’. According to Fiona MacCarthy, the Pre-Raphaelite fascination with King Arthur rested on his chivalry and “moral fervour“. Set that against the Victorian backdrop of “a crass and squalid materialistic age” to see the appeal. In an age of rapid change and social inequality, you can see why Burne-Jones loved the Arthurian legends. It’s also clear why people would hope Arthur still slept in Avalon, waiting to return. It’s fascinating that King Arthur appears in such stories, given the fact that historical evidence of his existence is sketchy at best. For those interested in the archaeological evidence of Arthur, I recommend Francis Pryor’s Britain AD: A Quest for Arthur, England and the Anglo-Saxons (aff link). And many dire situations have faced the UK over the centuries. As far as I know, he’s also never made an appearance. But we won’t let that get in the way of a good story! How does King Arthur relate to Sewingshields Castle? Some scholars believe Sewingshields Castle to be a candidate for the true location of Camelot. 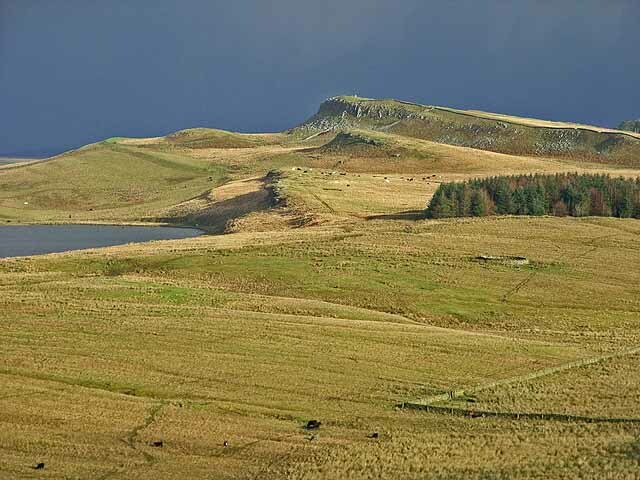 In this folklore, King Arthur and his court rest in Northumberland. According to legend, they still sleep below the castle, waiting to wake up. One tale concerns a shepherd who tried to do exactly that. While tending his sheep one day, one of the sheep wandered off, as they often do. The shepherd hurried after it. In the process of bringing it back, he stumbled across a hidden entrance among the ruins. Being the curious sort, he descended into the darkness. He followed a passageway into the belly of the hillside. Eventually, he emerged in a great hall lit by a fire of pure white flames. People slept on cushions on the floor, others upright in chairs. Two particular figures fascinated him. Sleeping quietly on thrones, the man and woman both wore crowns. The shepherd knew the local tales and realised with a start who they were. King Arthur and Queen Guinevere! He approached the royal couple. A table stood in front of them. On one side lay a sword and a garter. On the other, a hunting horn. The shepherd guessed the sword was Excalibur. Naturally such an iconic weapon would be worth a lot of money. So he decided to take it. He pulled the sword from its scabbard. The king stirred. He sat upright and opened his eyes. In fright, the shepherd dropped the sword. The blade sliced through the garter and the rest of the knights stirred. They yawned and stretched, no doubt sore after centuries of sleep. Terrified beyond belief, the shepherd slid the sword back into its scabbard. He fled from the chamber, but a voice followed him. But never blew the bugle horn. The shepherd returned to his flock and tried to forget his weird excursion beneath the hills. But he couldn’t forget what he’d seen. He remembered the tales that promised King Arthur would save the nation, and bring happiness and prosperity. Now he knew how to wake the King, he tried to find the entrance to make a second attempt. He never found the entrance again. Nor has anyone else. Note: An alternate version in The Denham Tracts replaces the shepherd with a farmer. The farmer sits knitting and his ball of yarn rolls away from him. When he follows it, he ends up in the fabulous hall. In this version, the farmer lost all memory of where he was when the story happened. In later years, the wife of a local landowner dreamed of treasure within the rins. She hired workmen to search for it, though no treasure ever emerged. Is the story likely to be true? Biologically, it’s unlikely that people could survive for so many centuries without any form of sustenance. In terms of legend? Who knows. Links certainly exist between tales of Arthur and Northumberland. One of his battles places him in the forests beyond Hadrian’s Wall. In another, the battle takes place in ‘the city of the legions’, which could be York, Chester or even Carlisle. It doesn’t take too much of a stretch of the imagination to move him to Northumberland. Rupert Matthews makes the point that most scholars place Arthur at around 500AD. His name doesn’t appear in contemporary records. But few names do; the records discuss events, rather than people. Some candidates do emerge as possible versions of King Arthur. But it’s unlikely that any of them derived their mandate to rule from the sword in the stone. Many claim Arthur for their own and move Avalon to Cornwall, or Wales. Unless he returns, we’ll never be able to ask him. Do you think that King Arthur sleeps away the centuries? Do you think it will be possible to wake him and seek his help? If you enjoyed this post, please share it with a like-minded friend! Sign up below to get notifications when these posts go live. 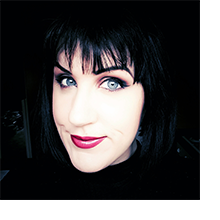 You’ll also get my recommendations for five excellent folklore podcasts! Is he asleep? No. But I think there’s enough evidence that Arthur was based on a real person (or persons), and he/they must be buried somewhere. Keep checking the car parks…. I’d love it if he was next to where I work! Fascinated by Richard III. After reading Daughter of Time, I’m wondering if all the characterizations of him being an evil and murderous person are false. I’d like to think so. Most, if not all, of them, derive from Shakespeare’s Richard III, which was essentially written to get him into the good books of the Tudors. He was hardly likely to write something sympathetic to the king Henry VII deposed! I’d never heard the legend of the shepherd finding King Arthur’s sleeping body before. That is so interesting. I’ll have to dig out some of the legends from other parts of Britain!